A petunia with sophistication! 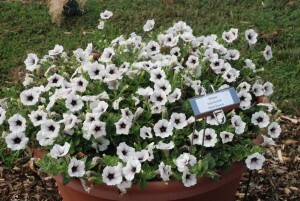 This antique white petunia has a unique chocolate brown, kind of plum colored veining. Mix White Russian with a dark colored sweet potato vine for a striking combination. 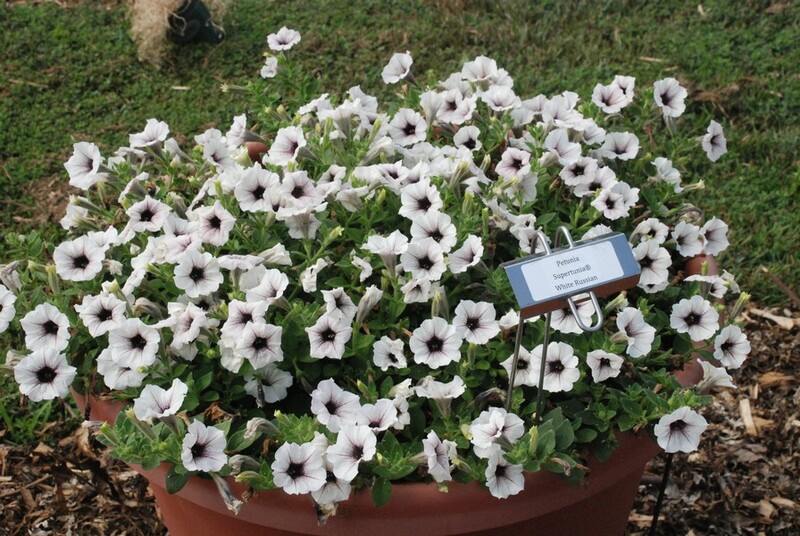 This petunia never needs deadheading and blooms all season long with regular feedings. 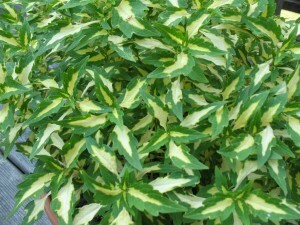 White Russian will be one of the most talked about new plants of 2012. 3D Purple is a whole new dimension of flower! 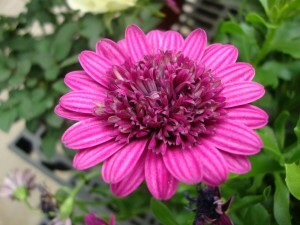 The first ever double blooming African Daisy! It’s blooms stay open all day and night, unlike other osteo’s which close on cloudy days & at night. 3D Purple has deeply ridged reddish-purple petals surrounded by a large, cushiony center that is a pleasing deep wine-red color. If you’re an osteo lover-you’ll fall for this new variety! A star is born! 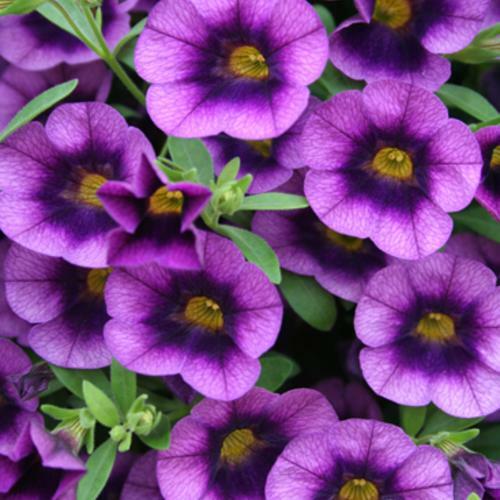 Cherry Star is an amazing new Calibrachoa from Proven Winners! The bright pink petals are separated by a yellow splash creating a striking color combination! 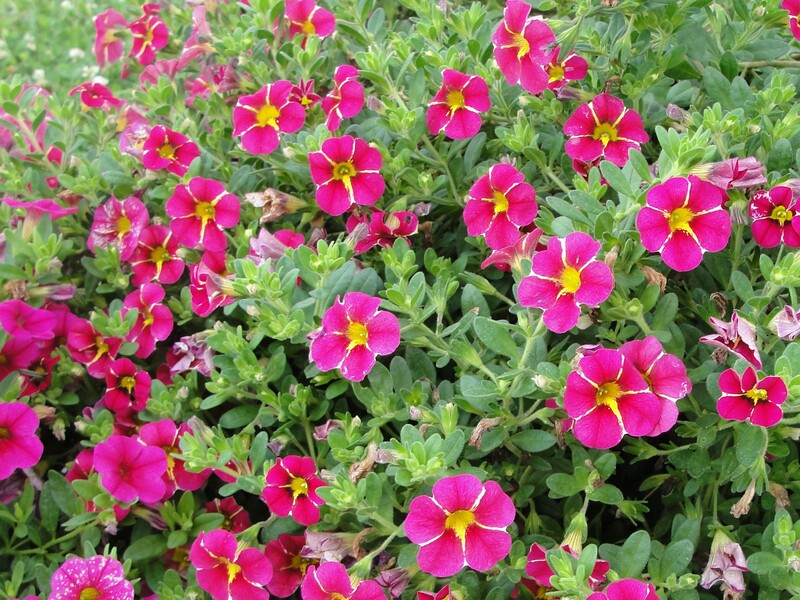 Cherry Star is sure to be a show stopper in your mixed containers & hanging baskets! Grape Punch is new introduction in the Punch collection from Proven Winners for 2012. It has a large grape-colored flower with a deep velvet ring around it’s yellow eye. The mounding trailing habit make this plant easy to grow & it’s color combines well with oranges, pinks & yellows.We’re excited to add Grape Punch to our collection! Twister Pink’s bi-color flower heads display a unique pink and white twist of color! This new Lani verbena is fragrant, self-cleaning and disease resistant. 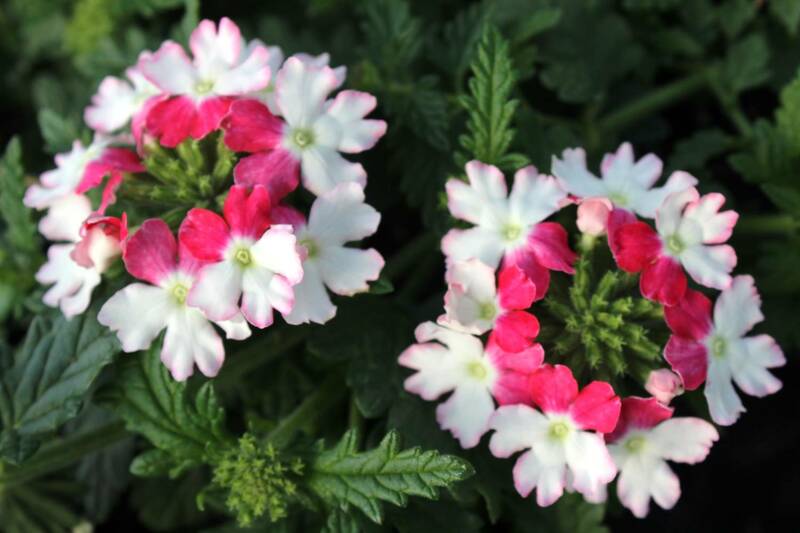 Twister Pink mingles well with other plants to add vibrant color to any combination planter! You’ll be saying-oooooh la la, What’s That Flower?-when you first see this charming new plant! 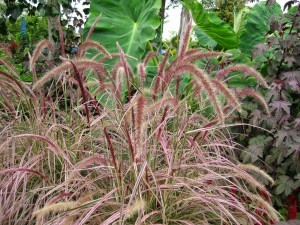 Cherry Sparkler is yet another spectacular sport of the infamous Purple Fountain Grass! A pink blush overtakes the white and green striped leaves as light levels increase. 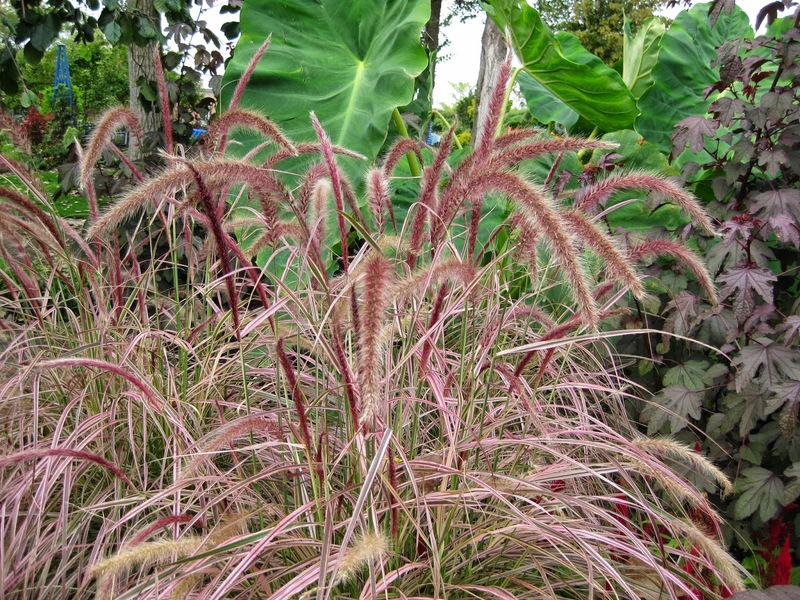 Burgundy-red plumes gracefully dance over it’s colorful foliage commanding our attention in any container planting! These double impatiens bring a ray of color & light to a shady spot in the flower bed. 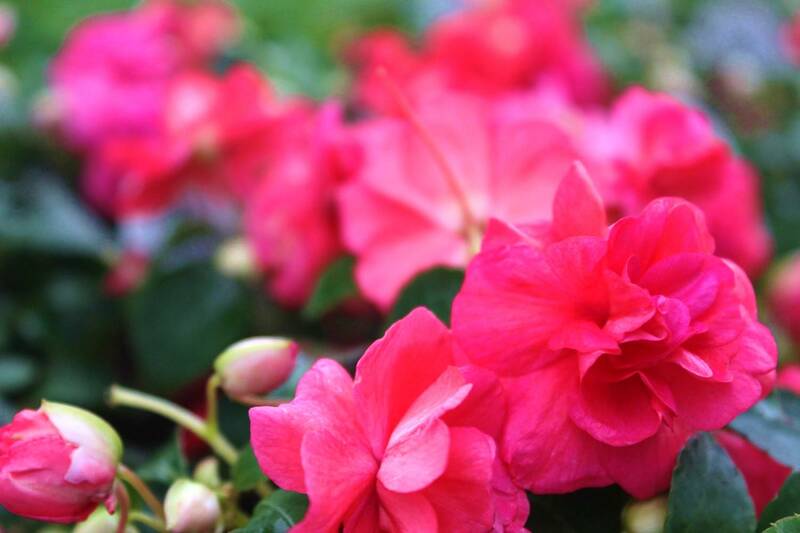 The rosebud, double flowers are a stunning salmon-coral color with a slight iridescent purple as they fade. They plants are easy to grow with self cleaning booms. Try Rockapulco Coral Reef in combination with Diamond Frost for an airy feel. You can almost smell the lemonade when you see the bright & cheery blossoms of Bandana Lemon Zest. 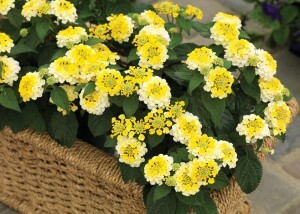 It’s vibrant multi-colored blooms emerge zesty, bright yellow with creamy edges that fade to a soft white. 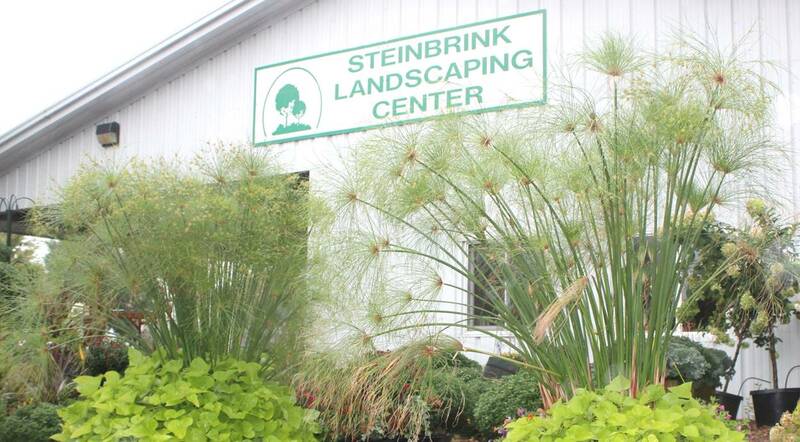 Excellent season extender with outstanding color & heat tolerance! 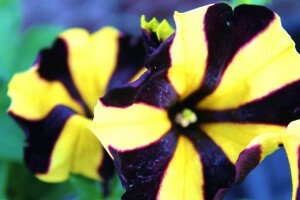 Black Velvet presents the world’s only BLACK petunia. We couldn’t keep these unique beauties on our shelves last year-so we are highlighting them again for 2012!There’s sure to be a lot of buzz over this petunia collection again this season! 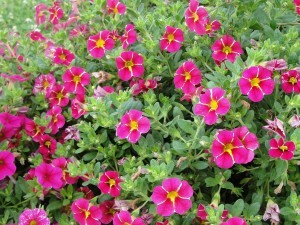 These upright, mounding plants are early to flower and are filled with color all season. Another plant breeding breakthrough, Phantom petunia brings out all the stops. Phantom shows off a black base color with a distinctive yellow star pattern. This unique bumble-bee color pattern is the perfect eye-catching, companion to Black Velvet & Pinstripe petunia. 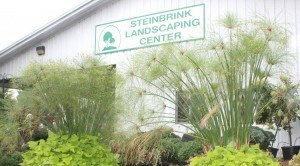 A must have plant for 2012 again! Adding to our collection this season is Pinstripe petunia. 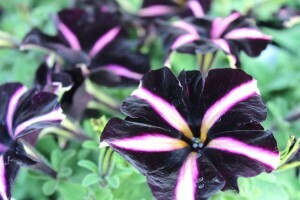 It has a deep purple, almost black background with a creamy white stripe. We offered these in very limited supply last year, but will have a much deeper selection for 2012. Be sure to try all three of these ‘Simply Beautiful’, unique petunias in your planters this spring. Crocodile green foliage with a creamy-yellow teardrop shaped center. 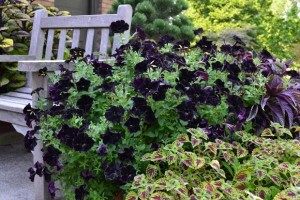 Alligator Tears coleus will brighten any shade or sunny location. Slow to flower late in the season or even at all. Grows 30” tall and 16” wide. This striking ‘Color Blaze’ Coleus, foliage plant is a great addition to any combination planter. Goldilocks Rocks is a cheery little gem with bright gold flowers atop handsome fernlike foliage from spring to fall. This heat and drought tolerant plant has a spreading, mounding habit that requires little to no deadheading or watering. 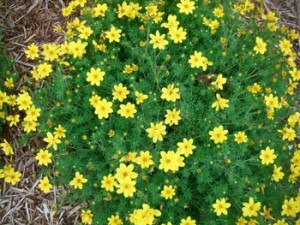 Goldilocks Rocks brings a bouquet of sunshine to any planter or flower bed. King Tut adds a tropical feel to any combination planter or by a pond’s edge. Used as a focal point, King Tut has a arching habit, grows 4-6’ tall & wide and likes moist soil. If Dr. Seuss designed a plant, it might look like King Tut! It has a distinctively wacky quality to it, so have fun when using it in a container.